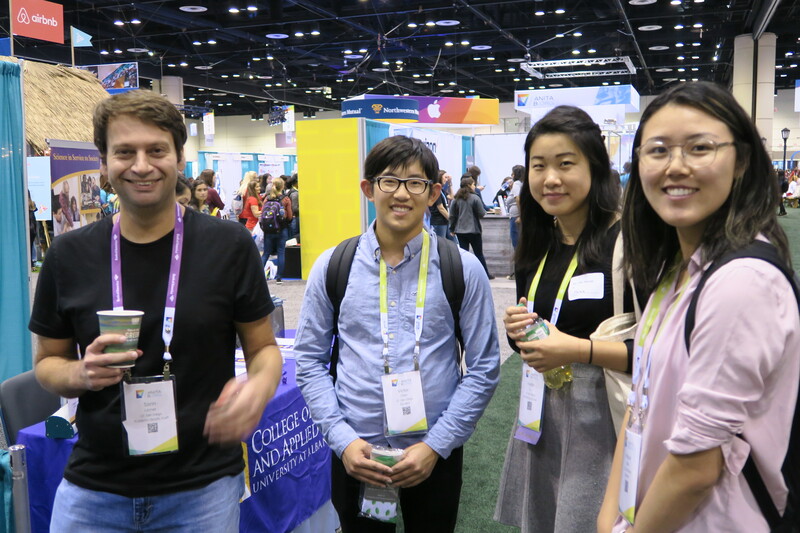 UCSD attended Grace Hopper 2017 in Orlando. Here is our story, through pictures. 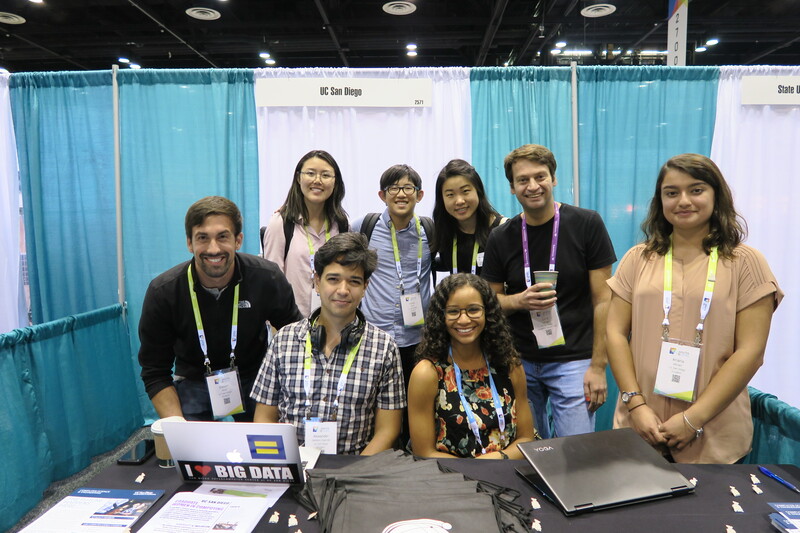 See you at GHC 2018! Off the plane in Orlando. 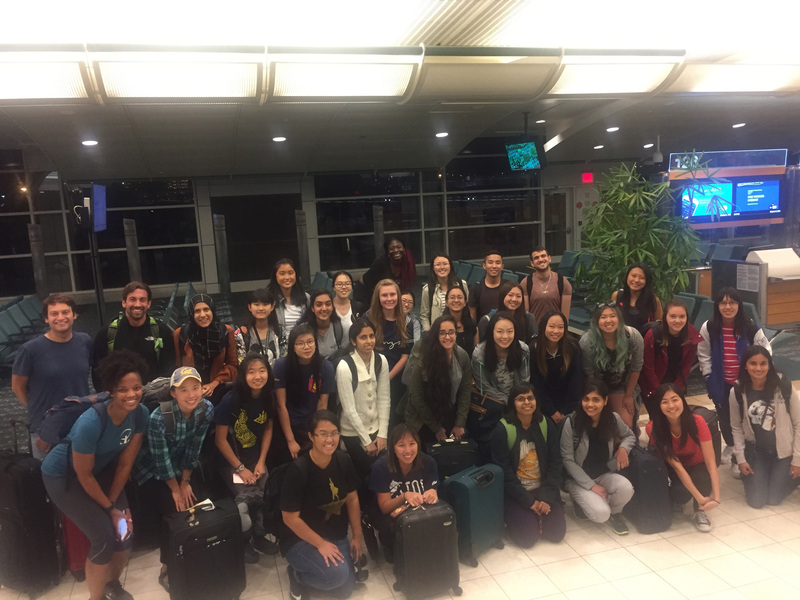 Almost half the plane was UCSD! Other half: Intuit. 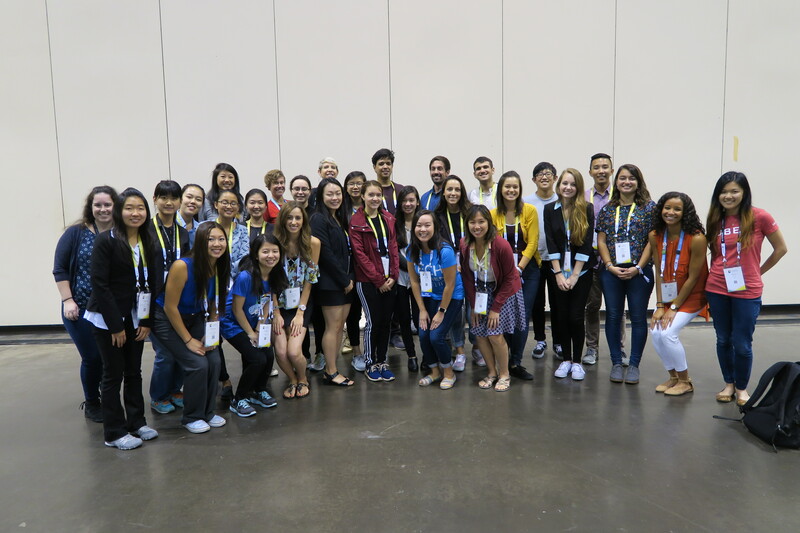 And this is a fraction of UCSD attendees! 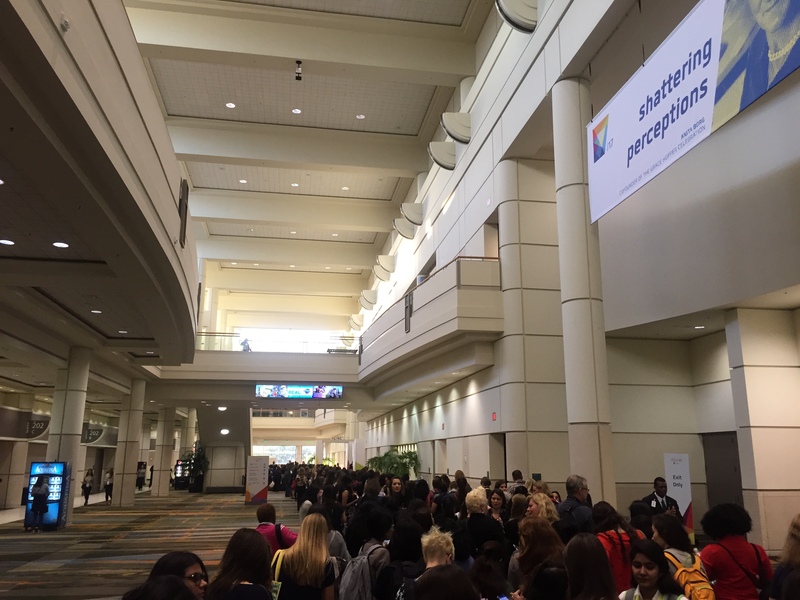 Over 18,000 attendees trying to get to keynote... Moved very quickly though! Expansive hall. Huge career fair, with big name companies having lofty setups. 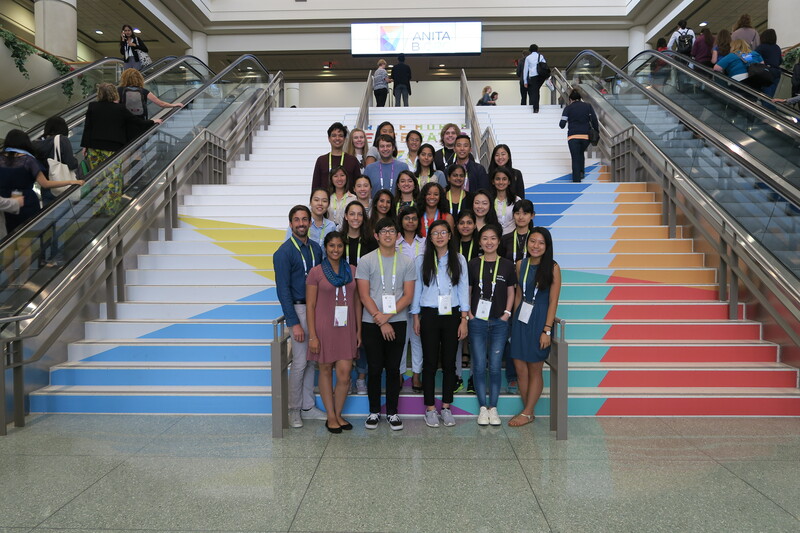 Most attendees at Grace Hopper are undergrads. Trying to convince them to come to UCSD. Oh wait, these are UCSD students already! The career fair was really expansive. Pretty much any tech company you can think of, and also some companies you might not immediately associate with computing. A few booths down from us... 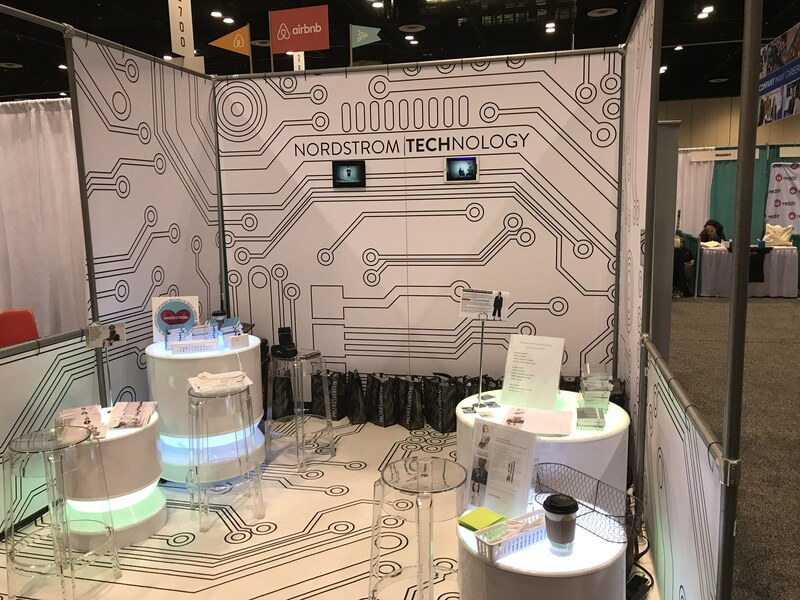 This epitomizes the reach of computing: even Nordstrom is a technology company! Spent lots of time organizing, advertising, and collecting information. We had all attendees who visited our booth fill out a Google form, so we can keep in touch with them. 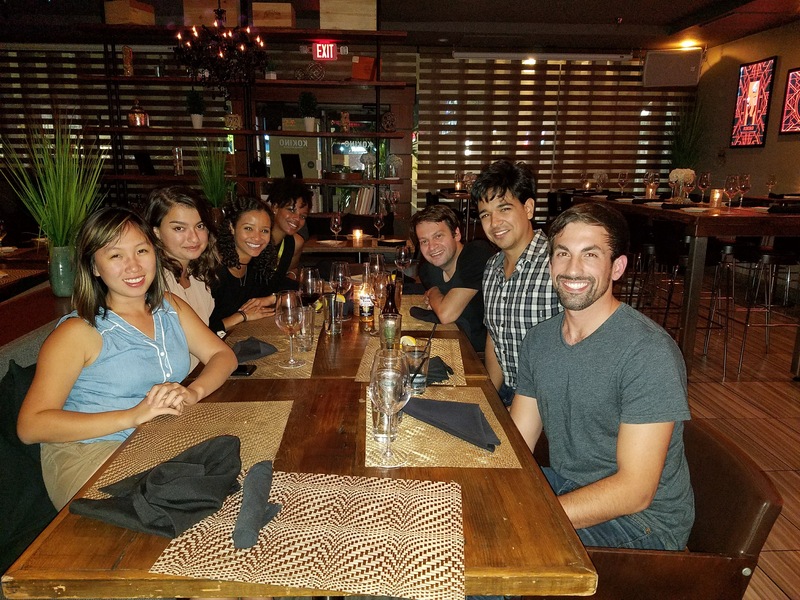 Dinner with PhD students. We came up with many concrete ideas for how to improve diversity in the PhD program, and will start working on them this coming year. Thanks to all who attended. 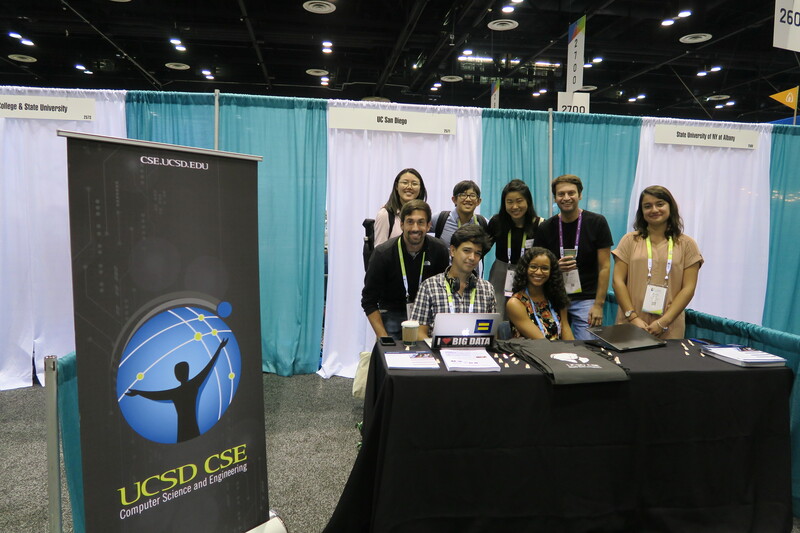 We had many UCSD students, staff and faculty help with the booth at various times. 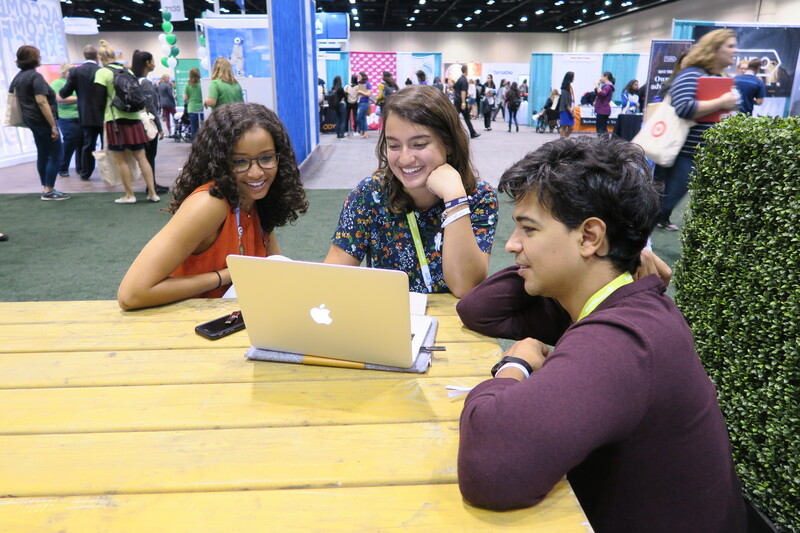 See you at Grace Hopper 2018!